At Franchi Brothers Auto Body, our team of auto body specialists take pride in being able to restore all vehicle makes and models to pre-accident condition. Whether you need detailing, custom paint work, or frame repair, we can do it all! 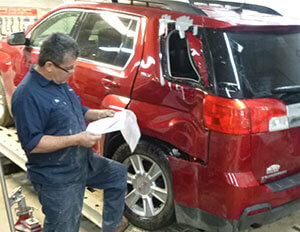 We are so confident in our collision services, each auto body repair is backed by a limited lifetime warranty. We will ensure that both you and your car receive the best service Worcester has to offer. Our shop also recycles all metal and plastic and uses the same water based materials that all new cars are painted with today. If in need of auto body repair, Worcester customers know that we offer a quick turn around time on our services to reduce the inconvenience of being without a vehicle. However, if your vehicle requires extensive repairs, we will make sure you have a rental car so that your daily schedule won’t be interrupted due to a collision. At Franchi brothers we are always updating our equipment to offer the highest quality repair to your vehicle and restore your vehicle back to pre-accident condition. From our paint department to our body shop we use factory approved equipment to meet and exceed factory specifications. Call us today at (508) 752-0401 and schedule an appointment!